Since I do most of my reading in bed before sleep, I don't really have food or drink with me--except a glass of water on the bedside table. If I do read during the day, you can't go wrong with a good cup of tea. The world of Jane Austen's novels, seen in countless feature films, is domestic, well ordered and snug. Hopefully Hancock would return with both wife and an Indian fortune to London, there to enjoy a life of leisure. On the eve of the two hundredth anniversary of Jane Austen's death, take a trip back to her world and the many places she lived as historian Lucy Worsley visits Austen's childhood home, her schools, her holiday accommodations, the houses - both grand and small - of the relations upon whom she was dependent, and the home she shared with her mother and sister towards the end of her life. In places like Steventon Parsonage, Godmersham Park, Chawton House and a small rented house in Winchester, Worsley discovers a Jane Austen very different from the one who famously lived a 'life without incident'. Worsley examines the rooms, spaces and possessions which mattered to her, and the varying ways in which homes are used in her novels as both places of pleasure and as prisons. She shows readers a passionate Jane Austen who fought for her freedom, a woman who had at least five marriage prospects, but - in the end – a woman who refused to settle for anything less than Mr. Darcy. 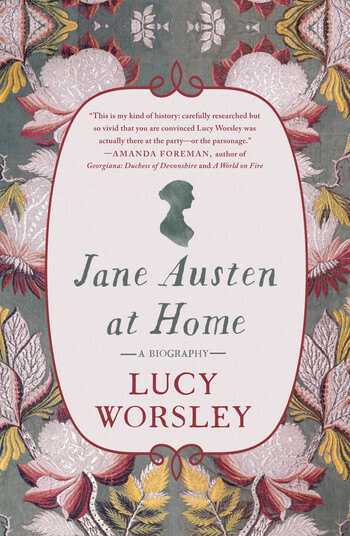 Illustrated with two sections of color plates, Lucy Worsley's At Home with Jane Austen is a richly entertaining and illuminating new book about one of the world’s favorite novelists and one of the subjects she returned to over and over in her unforgettable novels: home. Tea is my favorite too. I rarely read in bed, but if I did water would work or iced tea. ENJOY your weekend, and thanks for coming by my blog earlier. Thanks, Elizabeth. See you next week. Sounds like a wonderful read for Austen fans! Happy weekend! You really can't go wrong with tea! Sometimes I do drink some green tea, or perhaps herbal tea, or English Breakfast Tea. Whatever type I drink, though, I always sweeten it with honey, and add some Half and Half. YUM!! When I read in bed, it is unlikely I will have a drink or snack too. I love the sound of your current read (yay to all things Jane Austen related), I will definitely be adding it to my TBR pile! Thanks for stopping by, Tas. Everyone in my family loves tea except me. 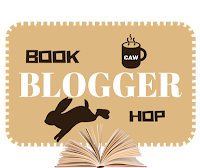 Yes a good cup of tea is always great too drink while reading, thank you so much for stopping by my blog hop Nicki. Have a great Sunday. Thanks, Katiria. See you next weekend.